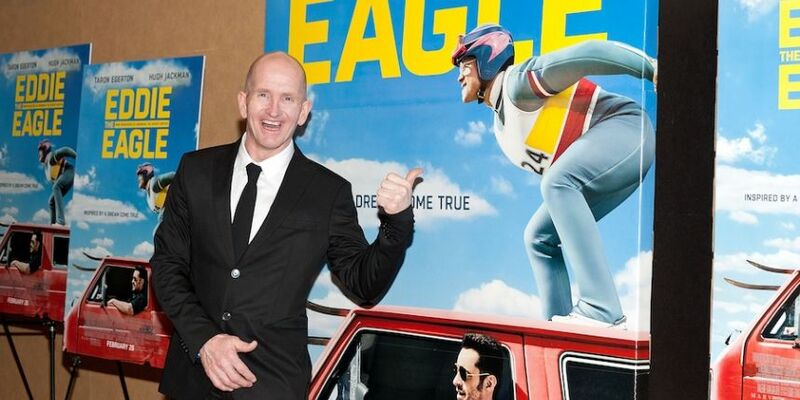 Two movies that are a real treat: RACE is good and EDDIE THE EAGLE is even better….. I do not get to the local theater much (I was a one or two movie theater man for my first 57 years) so I pay close attention to what comes out on DVD/Blue Ray or my in-home fiber optic wire. It is easy to pick up the more popular movies but I tend to find many of these movies as either bland, not interesting, or just plain garbage. But this past weekend I was lucky and was treated to two outstanding films that I was able to view on the best television for movies, my large Plasma that sits in my viewing room. 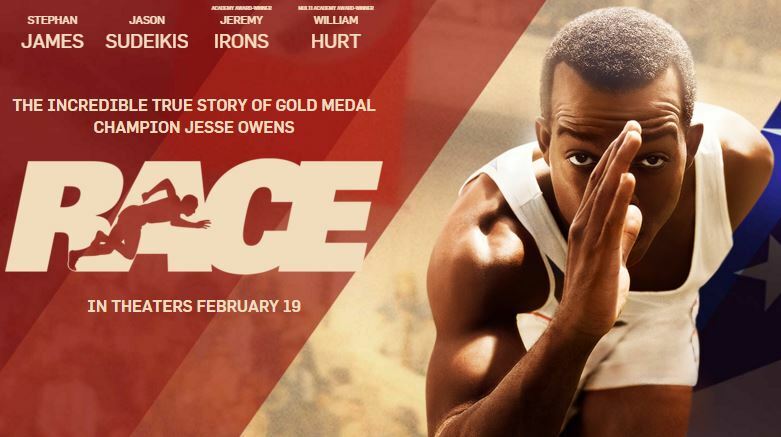 The first film was the bio picture (college through the Olympic 1936 games in Berlin) of the great American Olympic champion Jesse Owens. The film has excellent production value and the use of CGI was top notch. The story itself was entertaining with above average acting by all involved. It was close to historically accurate as some might try to disagree. Owens was never given his due by the German Dictator Adolph Hitler, as the evil carpet-chewer thought of blacks as “Jewish niggers”. And of note, US President Franklin D. Roosevelt never congratulated Owens on his four gold metals……not one letter or recognition. 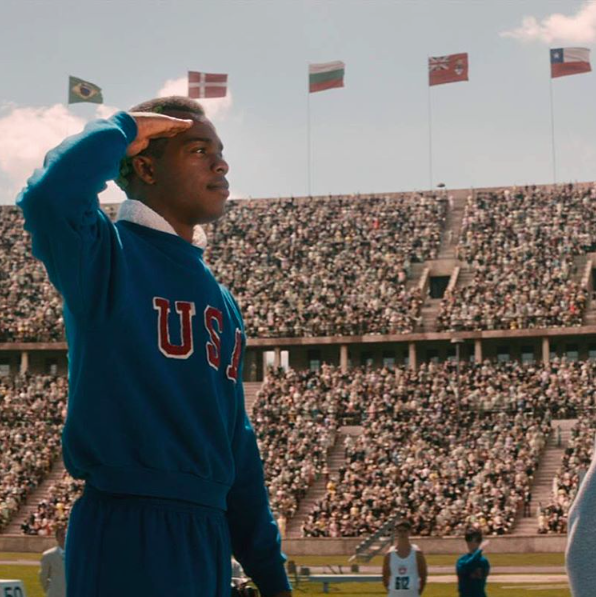 As historical movies go, the movie did Mr. Owens well as he, along with Jack Johnson and Joe Lewis, our first two black heavy-weight champions paved the way for Jackie Robinson and those that followed. If you don’t know the story of Owens you cannot call yourself a sports history buff. The second movie I highly recommend is “Eddie the Eagle”, the story of British ski jumper Michael “Eddie” Edwards. If you are old enough to remember the 1988 Winter Olympic Games in Calgary, Alberta, this story of “sport” shows why sports are so very important, especially for those that are participants. I have seen almost every movie on almost every sport that has been filmed and this one is as good as it gets. Only Vision Quest, in my opinion, is better in this regard. From the first scene of the movie, showing a very young Eddie Edwards, in his home bathtub in England, submerged in the water, holding his breath, timed for a new personal record, you are hooked. Edwards, with a life long quest to be an Olympian, is one of the most interesting athletes of the past fifty years. His story, and the story of never giving up, is awe-inspiring. The versatile Hugh Jackman plays a former ski-jumper that becomes Edwards trainer and is top notch. Taron Egerton plays Edwards and gives the performance of his career. Even the fantastic Christopher Walken graces the film in a small but special role as Jackman’s Olympic coach. The telling conversation between Edwards and Finish Gold Medal ski-jumper Matti Nyken as they assend the ski platform for their jumps in the 1988 Olympics is telling. Edwards is not in the class of the Finish champion but the dialogue goes deeper than winning and losing a medal. 1 o’clock and 11 o’clock. all that stuff is for the little people. Men like us, we jump to free our souls. it will kill us inside. was not just about a God-given skill set.